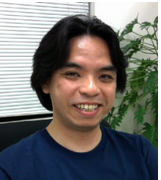 , or welcoming Indonesian publishers to the AdSense community. One of the ways we can continue to support you is by giving access to new sources of industry knowledge to enable you to make the most from display advertising. With this is mind, today we’re introducing a new report, “Display Business Trends: Publisher Edition”. 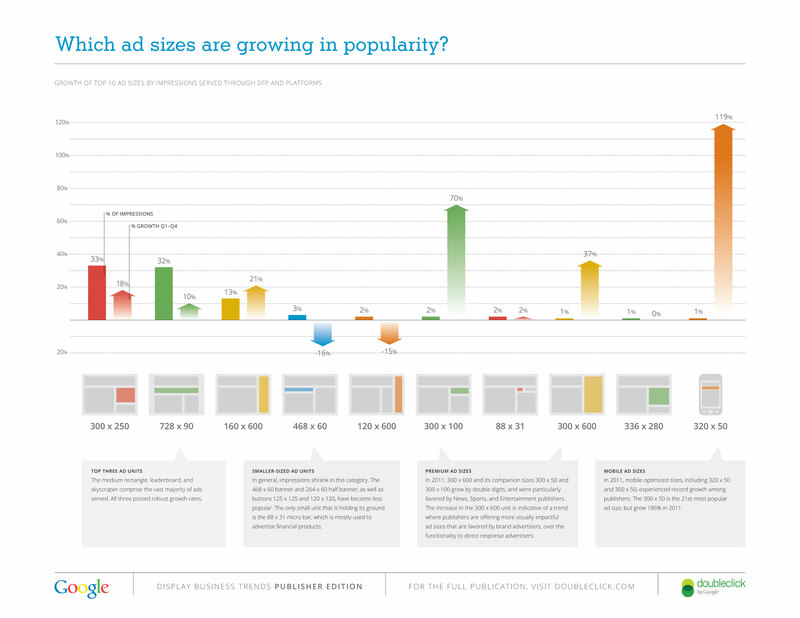 Which ad sizes are rising in popularity? You control the ad experience on your site by choosing ad sizes that fit the design of your pages. But with such a flexible selection, which ad sizes should you pick? We found that 80% of all ads served tend to be the three best performing ad units for AdSense publishers: the medium rectangle, leaderboard, and skyscraper. We’re also seeing fewer publishers use smaller ad units, like the 468x60 banner. 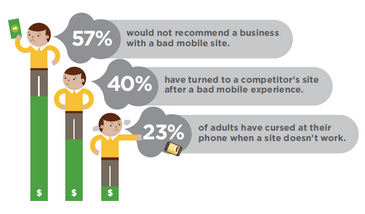 Is the mobile web really a big deal? We think so! 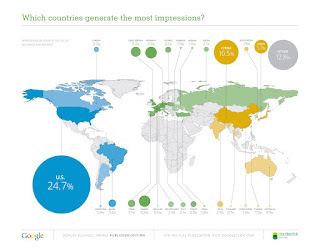 We saw a 250% increase in mobile web impressions over the last three months of 2011. Growth in mobile usage has exploded, and there’s never been a better time for your site to go mobile. Check out resources for publishers on our GoMo site and Mobile Mondays blogposts. Which sites are showing strong impression growth? In 2011, we found that Shopping, Sports, and Auto & Vehicle sites were some of the fastest year-on-year growth verticals on the Ad Exchange and AdSense. We saw impressive figures across the board, with 15 out of 25 publisher verticals displaying double-digit growth. The Publisher Edition will be the first in a series of publications looking at aggregated global data from across Google’s display advertising solutions, so stay tuned for more industry metrics to come. In the meantime, join the conversation and tell us what you think is behind these trends on our AdSense +Page. Over 2 million AdSense publishers like you create the unique and diverse content that we all love - whether it’s finding reviews for a new restaurant, or do-it-yourself furniture makeovers. Online advertising helps fuel this creativity, and we’ve been improving our products to help you make the most of every opportunity - from making it easier to earn revenue from the mobile web, or welcoming Indonesian publishers to the AdSense community. One of the ways we can continue to support you is by giving access to new sources of industry knowledge to enable you to make the most from display advertising. With this is mind, today we’re introducing a new report, “Display Business Trends: Publisher Edition”. 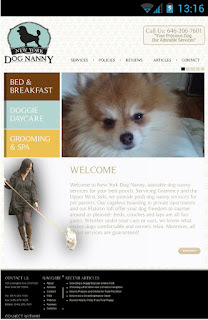 Following us on Google+ or Twitter? Use the #dclkinsights as you're watching the event. As the digital media world continues to grow and diversify, we see unprecedented opportunity for both publishers and advertisers. AdSense publishers are an integral part of the display industry community -- so what does this mean for the future of buying and selling ads? The live stream will start on June 5th, 2012, at 9:00am PDT, and you’ll be able to watch from your computer, tablet, or mobile device. that they’ve turned to a competitor’s site after a bad mobile experience? With 44% of Americans owning a smartphone, publishers have the opportunity to meet their users’ expectations by delivering a mobile experience that’s on par with the desktop experience. 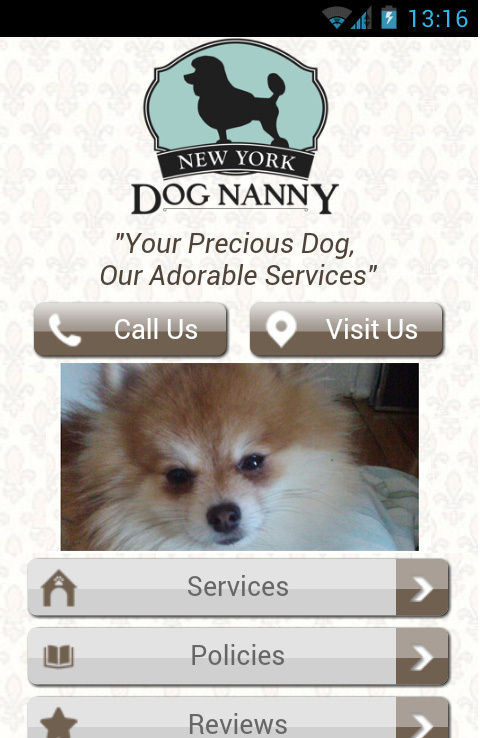 If you haven’t yet developed a mobile-optimized site, we’re here to help. We recently teamed up with DudaMobile to release a free mobile site builder. In three easy steps you’re able to get started with mobile: (1) enter your site’s URL, (2) customize your site and (3) redirect mobile users automatically to the new mobile-friendly version. It’s free and takes just a few minutes to complete! Join us tomorrow, May 24th at 1pm ET/10am PT and watch as we showcase how ScienceDaily.com can use the mobile site builder to build a mobile-friendly site--live on air. You’ll also hear from the CMO of DudaMobile, Dennis Mink; he’ll talk about best practices when using the mobile site builder and walk through important questions to ask yourself when building a mobile-friendly site. If you have questions before or during the Hangout, post them on Google+ with the hashtag #GoMoSite. Did you know that 40% of mobile web users reported that they’ve turned to a competitor’s site after a bad mobile experience? With 44% of Americans owning a smartphone, publishers have the opportunity to meet their users’ expectations by delivering a mobile experience that’s on par with the desktop experience. When selecting a date range for your reports, you’ll now have an ‘All time’ option to view all earnings, impressions, and clicks accrued since your first impression. If you used the previous AdSense interface, you may remember this feature -- it now has a new home in the current AdSense interface as well. Just as the placement of commas and periods can change the meaning of sentences, the same is true when it comes to numbers and figures. As you may know, an amount written as $1,000.00 in the US or UK would be written as $1.000,00 in most of Europe and South America. Previously, only the $1,000.00 format was available for downloadable reports, which created difficulties for a number of international publishers trying to export CSVs to analyze the data. Now, based on your language preference, you can export CSVs with figures in the relevant format. - Redesigned transaction history table shows you the latest activities at the top. - New toolbar support allows you to filter, print, export, or download transaction information. - New extended timeline allows you to change your payment information until the 20th of any month. - You can choose any payment threshold greater than the default payment threshold based on your reporting currency. - Centralized locations to manage your Payment settings and Payee profile.